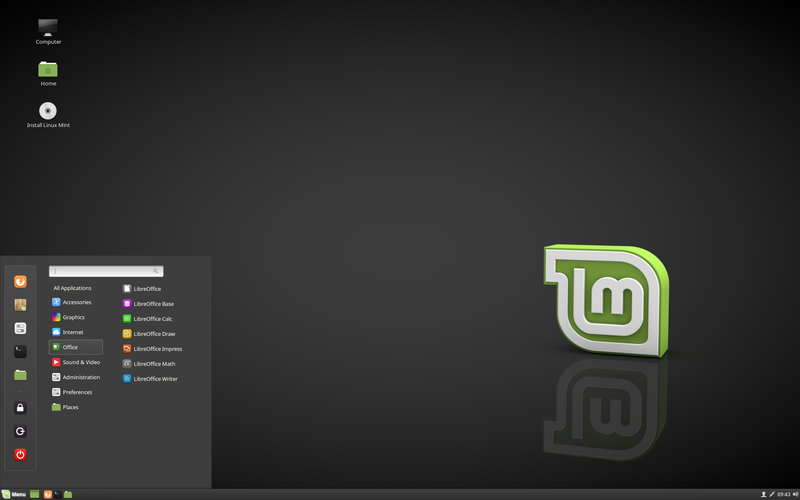 The team is proud to announce the release of Linux Mint 18.3 “Sylvia” Cinnamon Edition. Next Next post: Linux Mint 18.3 “Sylvia” MATE released! I love the Flatpak infrastructure, by the way. It’s a cool and useful innovation; a better choice than Ubuntu’s centralized Snap initiative, because it’s more open. Excellent. I’ve been using this os since 2010 at home and at work with no issues. Excellent support, neat software development and superb compatibility with most tools I use. Looking forward to test the new features. Great work to everyone!! When my internet gets installed I am upgrading. It looks smart and I;m sure i’ll run as smart as every other version before. Be proud of what you have achieved. You are now my #1 OS for life! Certainly not smart to make a mistake. Blame the excitement! And it was completed on time without the threat of last minute cancellation. This must be a pleasant change for you Daniel. How ‘s Tynecastle working out? Looking forward to the new update. I’m assuming this will be the last feature update for 18 and 19 will be released in summer of next year. Haha very good bud! 😛 It’s a nice change to say the least! But back on topic too, I look forward to 19 as well, thankfully got plenty of blank DVDs. Just wondering, I have been running the Beta release and installing the updates as they became available.Will this be the same as the Final release? Yes, it will be. But fine tuned from the BETA. > The man who does not read has no advantage over the man who cannot read. I have used Linux mint 18.1 and 18.2 cinnamon . never had a problem with mobile broadband . New Connections are not adding in this version . I’ve been waiting for this moment! Thank you so much! 2) Timeshift doesn’t show it as translated even it is translated. 3) Cinnamon-settings –> users & groups –> Name of user : We can not input Korean Hangul, It is not a matter of Input Methods since Cinnamon-settings –> User info , I can input Korean Hangul correctly. Generally, I’ve seen more of it as a hard coded state dialogues shows English frequently. Congratulation Clem and Mint Team. By the way, is it posible to upgrade directly from 18.2 to 18.3?(i.e. with Update Manager) Or it should be with fresh installation? Thanks Heederman. Thanks for the critics. I missed that part. But I already read it before your answer. Do not acting like you’re never done something wrong bro. It’s possible to upgrade now through mintupdate. If you don’t get any update infos yet, you can switch to linuxmint mirrors. Thank you. Upgrade successfully in 10 minutes. Looks like faster than 18.2. More apps doesn’t show it as translated related above comment. Make sure that your language is completely installed. Look if it says Completely installed (with a green font) for your language. I dont’t sure about Thunderbird and Libreoffice suites, but Other apps should be shown as translated. If it says Completely installed and still shows stuff not translated, reboot your machine and then create some screenshots and post them here please. You mean only the menu entries are not translated? Are you sure those were translated in LM 18.2? Most of them (Redshift, Pix, Timeshift, LibreOffice Writer) are not translated in my language either, but that’s normal. Those names do not change in my language. But Screen Reader and System Reports are translated in my language. As you can see, all the menu entries should have shown to me as Korean Hangul but it is not. And even timeshift is not only menu entry, but also the contents shows as English. Although Translated date is displayed 24th or 25th but it was translated fully done before 17 ~ 20th Nov, displayed dates are for the more reviewed and edited files after the 17~20th Nov. It would be affected to the next release I think. Link shows that it might be gatherd before 24th Nov. I think the team gatherd translation file on 20th Nov.
Whatever it may say, Timeshift was not affected to the OS and also other menu entries should have shown to me as translated, but it is not now. During beta, translation file was updated one time, in my memory it was 20th Nov, by the team through mintupdate, but it still shows untranslated timeshift in current release. We’ve got another update for Timeshift coming up, addressing translations. Great!!! When will be available the XFCE desktop version 18.3? I use Linux Mint since version 17.2. I never had any problems after migrating to Linux Mint. Thank you so much! Awesome news. I’m downloading it right now. Thank you all for your hard work. Awesome release and great features! Thank you! Where can I leave flatpak Telegram app feedback? The app (.deb) downloaded from their official site works fine, but flatpak Telegram app (also official) crashes when I begin input my phone number with some specific error. It was updated an hour ago, give it a moment before reporting in case they’re already aware of it. update 18.2 > 18.3 Cinnamon. everey boot or F5 moves some icons on the desktop up.. I thought it is more like 1.9GB! Great work gang. Most interesting release in a while. My hat is well and truly off to you. The Google Online account is not doing much, except slowly mounting your Google Drive. It didn’t work with regular Gnome-Contacts. Cannot show Google online account. Was visible in Gnome-Agenda Flatpak, but not working. Agenda was not synching. I guess all of this will get fixed overtime. Will probably be better on Mint19. Other than that, great release. I’m having the same issue(s) with the Microsoft Online account – particularly, there is no way to sync OneDrive that I have found. Hi team! Sylvia is great release , thank you for your work! Please make sure you keep Linux Mint simple, efficient and minimalist. We need it to be fats and not bloated. Try LMDE2 Cinnamon, based on Debian (no Ubuntu crap), faster and more efficient. Not the very latest versions of software but it’s hard to see the differences. And I hope LMDE3 development based on Debian 9 stable will start now since version 18 is finished in terms of development. There are a few entries in the list with “package could not be found”, because they previously were installed by a ppa (which isn’t configured again). “”package could not be found.- isn’t a valid package name” (or similar, original in German, also changed because of sucuri warning). So nothing can be restored. Software Center does not start at all. Why? Installed Linux Mint 18.3 Cinnamon on a 12 year old computer. Have used Linux Mint off and on since 2011. This one is the fastest distros I have run on a computer. Currently running 4GB of ram and a SSD. All of my amateur radio software thus far is running flawlessly. First time I have been able to get a certain piece of software running without errors. No complaints so far. I do have some suggestions for Linux Mint 19, or perhaps implementing it in a future update. Again, fine job and keep up the good work. The new edition of Linux Mint looks good, but is it stable and secure? and does it support old AMD graphics cards? I hope so because I was disappointed by Cinnamon 18.2 which crashed sometimes (did not happen in 18.1). Must say that 18.2 was my first version of Mint after 5 years which caused some problems. LMDE3 Cinnamon based on Debian stable 9 “Stretch” would be nice indeed! I’m running SolidK9 (Debian 9 stable based) and it runs awesome! Thanks Clem and all the team who worked to get this here for us. You all did an amazing job with the improvements while leaving the things I love where they are. My favourite is the software manager which is much easier to navigate around and I am pleased to have google earth in there. cuda-repo-ubuntu1604_9.0.176-1_amd64.deb) on nvidia’s website works perfectly on Ubuntu 16.04.3 but does not work on Linux Mint 18? After installing and restarting, the screen turns black. I’ve tried the recommendations and no alternatives worked. Another problem is that the nvidia website toolkit does not recognize the native drive (and the native toolkit is in version 7.5 …). But, congratulations for the great work! Guess LibreOffice 5.1.6 is kept from Ubuntu 16.04 but in Mint it should be newer Still version i.e. x.y.last for stable branch which is 5.3.7 now. Please consider. Amazing Job, guys. I have just installed Linux Mint 18.3 alongside with Windows 10 without any issues. upgraded grub to burg. I am newbie, using Linux for about 1 year now, but getting excited more and more as I am starting to satisfy all my needs with Linux Mint (except gaming sadly), but it’s stable, amazing and #1 OS for Linux out there for sure! New LM 18.3 seems to be great OS, I like most of new features. Many thanks to Clem and all people in LM team. Great work! But I encountered one problem when opening PDF files. After clicking on PDF file, the contents of PDF is incorrectly displayed (on dark background) in “ImageMagick” app as default application. After right click on icon of PDF file and selecting “Open with” and “Another application…”, a dialog appears, where another application for reading PDF files can be selected. But after selecting “Document reader” (for example) and confirming with “Set as default” button, nothing changes. “Default application” still remains “ImageMagick (display Q16)”. Can you help me with solution? Many thanks. Hi, I had the same problem with 18.2. Nothing seemed to help except for removing ‘Imagemagick-6.q16’. I hope this can help you, too. Just one question: why the same CUDA 9 (.deb) package from Nvidia’s website works perfectly on Ubuntu 16.04.3 but does not work on Mint 18.3? After installing and rebooting the system the screen turns black (I tried some suggested mechanisms but none worked). This is my only problem, but important to work with. When I plug the HDMI cable into the tv all I get is the background image with the Mint logo. There is no menu bar at the bottom or icons on the left hand side. that is because the computer uses it as a secondary screen, you can drag windows from your primary screen or change it in display preferences. This looks nice, but I have no network in my Conky and all of my icons are huge and won’t downsize and several of my extensions and applets don’t work anymore. These were all problems for me in 18 and the reason I am still on 17.3. I had hope of these errors being fixed, as I assumed they would be by now, so sadly no upgrade for me. 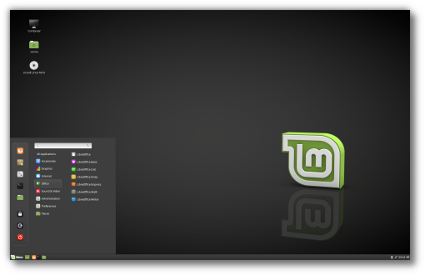 Linux Mint is just getting better and better! p.s. it’s *very* important that version 17.3 is available – some laptops cannot be installed at all with the new kernel. On my ASUS UL50V laptop (Optimus with Intel+Nvidia), I managed to upgrade through 18. * only after having installed nvidia-304.135-0ubuntu0.16.04.1 (all others uninstalled) and intel-microcode, Version 3.20170707.1~ubuntu16.04.0, drivers with Driver Manager of Mint. And after it, I’ve tested the kernels up to 4.13.something with no any issues on Mint. Oh, sorry. I have 18.2 KDE on my laptop and still cannot upgrade and test 18.3. So my previous post is about testing only up to 18.2 version of Mint. What about creating a Budgie version of Linux Mint? Since KDE will not be available anymore. any news when kde version released?? Hi ,congratulation for this great job. I really like it. 1)If you press start >all applications >online accounts: you can delete that application, but you also delete the cinnamon desktop and you cannot boot anymore!! I would like to delete “online applications” without deleting the desktop. 2) Timeshift works, but it is very slow. It takes 25 minutes for a systemsnapshot. A backup software can do this job in 5 minutes. Hum, not sure if you will get an answer to that. Stupid question: Why there is no mirror in France ? There are. At the time of release there were none that were in sync. You can find the up to date list at https://linuxmint.com/mirrors.php. Had a smooth upgrade to 18.3. Nice work, Mint-team! When will the cage-transform-bug in GIMP be solved? Simply the best, for me. as soon as i installed “mint18.3” i fell in love with it. Thank you for this incredible release!!! can any one help me to resolve issue with hibernate. I’m using Linux Mint 18.3. When its wakeup from Hibernate nothing happen! same as restart ! all opened files and applications closed! I think you don’t have a separate partition for swap. The size of your SWAP partition should be twice the size of your computer memory. For a 64-bit installation that would probably make your SWAP partition 8 GB in size. to GRUB_CMDLINE_LINUX parameter of the file /etc/default/grub. 4. Command sudo update-grub in Terminal. I hope it will do. GRUB_CMDLINE_LINUX=”resume=/dev/disk/by-uuid/bfb3195d-bebe-40bb-8d1f-854c128b044a nouveau.modeset=0 rd.driver.blacklist=nouveau rhgb quiet acpi=off”. I’ve added my Google and Flickr account. Pictures and PDF do work however. First time I tried to play a video Cinnamon crashed and went to fallback mode. After restarting (Cinnamon) it didn’t crash anymore but still didn’t play videos. Flickr doesn’t show up in Nemo. Apart from that the upgrade went smooth and seems very stable. Thanx for another great release ! I have with window 10 & I installed Mint Mate 18.2 2 a month ago as dual boot. I have upgraded to 18.3 yesterday night, thanks for smooth, easy & quick upgrade. On 18.2, it was all good & easy double click to mount the windows drives C, D until I upgrated to 18.3 yetserday night. But now the 18.3 giving me mount errors for window’s partition, claiming the partition is not good etc. Please could you advice any quick fix. Please bare in mind, I am novice to linux all together. Please help me resolve. Corrections: I have windows 10 & I installed Mint Mate 18.2 a month ago as dual boot. Only after it, boot into linux and try to mount. Hi! Why is the system constantly frozen? Faced with this situation I decided to try another distribution, in this case I chose Fedora 27. So far, for which two weeks have passed, using it a lot, I have not had this mishap. It happens with versions 18.2, also with betas 18.3 for 64 bits. Before I used the 32-bit versions and no inconvenience in the use. My PC is an Asus P5KPL using a celeron E4000 with 4 GB of RAM, and nvidia GT610 video with 1 GB of memory. I had a problem installing Linux Mint 18.3 on my new Asus laptop. As a work around, I installed Linux Mint 18.2, upgraded it to 18.3, and it worked. However, as soon as I tried to update the kernel, it crashed, and when I rebooted, I got the same error message. Is new kernel supposed to work on my architecture ? I’m pretty much brand new to Linux in general, I’ve been a disappointed loyal Windows user since the 95. Although I did try giving Ubuntu a chance about 10 yrs. ago but just couldn’t make the transition. I have so much to learn and get my head around but this time I’m here to stay! You gotta love that Right? So I’m reinstalling 18.3. At least I know I can do that! I’m sincerely grateful as are thousands upon thousands of others around the globe. is there any way to have whatsapp installed on linux mint 18.3 cinnamon? For WhatsApp, use Chrome extension, WhatsChrome. Works for text, sending pics, but not voice. Your phone needs to be on and connected at the same time. Can’t get my Asus usb wifi adapter to work with this one, it worked good with one of the older Mint releases though. I’m just starting to use the Mint backup tool with this release. Which hidden Mint / Cinnamon files should I backup? I’d especially like to avoid re-entering Cinnamon keyboard shortcuts when upgrading next time. And if I can backup and restore the rest of the Cinnamon settings, so much the better. Also, any suggestions for which hidden files to backup for Libreoffice, Gimp, Inkscape, and Shotwell? Since the backup tool is meant to remember previous selections, it probably makes sense for me to try to get it right the first time. I’ve noticed that when using the cinnamon menu editor to hide/show listed programs, the length of the scrollbar in the menu changes size. For example, I used the menu editor to hide vlc player since I don’t use it. I close the both the menu editor and the configure window, click on the menu and I notice that the scrollbar has shrunk in size. I open the the menu editor to make vlc player appear the menu and the scrollbar becomes larger in size. I’ve also found that when I applied the update for “cinnamon-settings-daemon”, that also made the length of the scrollbar become smaller. I didn’t experience this behaviour in version 18.1 or 18.2. Flatpak section in Software manager does not show any apps after upgrade from Cinnamon 18.2,32bit desktop.It only shows a blank window. This was fixed today in mintinstall 7.8.9. Every other start of VLC crashes Cinnamon. After restarting Cinnamon it does work. I wanted to send a System Report but haven’t got the tool in the menu ? I upgraded from 18.2 so maybe that’s the reason it’s not there ? I booted a VM with the 18.3 iso and saw it was there in the menu. after using 18.3 for a few days now, i notice when running VLC i get “hangs” when i watch some thing, and when i opened the terminal, cinnamon had CPU spikes when the hangs on the video happened, i got CPU spikes over 65% at random times, and i had memory usage of close to 60% ( i have 2x4gig ). VLC had CPU usage og around 20-25%, a few other background programs had 0.5->2-3% CPU usage under the load peak. this was enough to hang the video for 3-5 sec. only thing i had running was VLC and a shared folder open. 1. Redshift is now installed by default, correct? 2. The package mps-youtube is broken. Once I launch the command mpsyt and search for a song, I get this  error. I installed the package from the default repositories. Can someone confirm this? Linux Mint 17.3 is sold with such great icons (see printscreen above). Why is mine so poor, with ugly square icons ? The Linux Mint you installed might be too much for an older computer’s processor or graphics card, or your computer might not have enough ram (random access memory.) If ram is the problem, which you can find out easily from the menu – system tools – system monitor – resources, then you need a swap space or a bigger swap space, which is chosen during installation. A swap space is a place on the hard drive that is used as extra ram. The point of ram being seperate is that the ram is faster than the hard drive. If ram is not your problem, then you need Linux Mint XFCE, which is light weight to run lightning fast on older computers that came with windows xp or 2000, and probably 98 and older, processor speed differences make the difference, not what windows it came with. 18.2 is the newest XFCE edition. Since Linux Mint seems to be reading this, YOU NEED AN LXDE EDITION!!! LXDE is even lighter weight than XFCE to run lightning fast on old and unimaginably slow computers that Mint XFCE runs a tad slow on (by that I mean 10 trillion times faster than any windows,) but using Lubuntu IS NOT fun because it doesn’t come with all drivers installed like Linux Mint. Usually it happens immedeately after login or when I try to close windows. If this happens, it ist not possible to exit the application any more. After restarting Cinnamon the program is closed. Yes this is a bug which I experienced too in Cinnamon already after upgrading from 18.1 to 18.2. That is why I left Mint for now because I expect their “flagship” DE should work without such bugs. First I changed to Mint KDE which is very stable but will be abandoned by Mint suddenly. I liked Mint for a long time but I left them for SolydK (Dutch KDE based on Debian stable) which runs extremely stable. After upgrade to 18.3 cinnamon, i cannot login. It stuck at login screen. What i can do to fixx this problem? What is causing the issue exactly? Can you drop to console (CTRL+ALT+F1) and check your .xsession-errors after an unsuccessful login? check the lightdm logs also for clues. Thanks for yet another great release. You all keep doing a great job and surpassing yourselves with every release, and this release is no exception. I recently got a HP OMEN 17-an007na gaming laptop. Mint 18.2 Cinnamon installs fine on it, but oddly enough only if secure boot is left turned on. If I turn off secure boot, NOTHING will boot. So I have to leave secure boot on and also choose to boot from “USB Flash Drive” rather than “UEFI USB Flash Drive” in the laptop’s “Change The Boot Order” menu. However, Mint 18.3 Cinnamon, although it boots up in the same way and starts the installation process, it won’t complete the installation. It keeps crashing half way through the process as soon as I enter my name, username, and password, and then click the “next” button. The only way is to get Mint 18.3 Cinnamon on this system is to first install 18.2 and then do an in-place upgrade through the Update Manager. Once you reboot and log into the new 18.3 session, the ABSOLUTE VERY FIRST thing to do is to install the proprietary Nvidia graphics drivers, or the system will lock up if you click on anything that requires it to look up info concerning the system. System Info in the System Settings is one such example, and Power Management is another. If you don’t have the Nvidia drivers installed – and maybe also the intel-microcode driver – the laptop absolutely WILL freeze as soon as you click on either of those icons in System Settings, and then all you can do is force a shutdown by holding the power button. Once that’s done and you reboot into the system, it’s rock solid stable and fast. Apart from that the finished product is brilliant. I also have it installed on another laptop and on my desktop PC, and they’re all running extremely well without any problems whatsoever. Thanks for the Flatpak fix Clem.After upgrading mintinstall, Flatpak category is showing available apps. The new background pages alone make it worth upgrading to 18.3. SUGGESTION: It would be great if update manager could also show and install updates for APPLETS & EXTENSIONS. Before installing 18.3, I used the Backup Tool in 18.2 to backup my files into a tar archive. When I tried to restore those files into 18.3, the Backup Tool quit on me with the error message “This backup file is either too old or it was created with a different tool. Please extract it manually.” HOWEVER, that backup file was made yesterday with the Backup Tool in 18.2. Since update to Linux mint 18 cinnamon I no longer am able to enter BIOS. I can’t reinstall because it won’t boot from usb or disc. If I press key to enter BIOS it is ignored and still will boot straight into Mint 18. I don’t have a dual boot, my computer has never had any OS on it except Linux Mint. I’m not sure what is going on or how to fix it. I’m having an issue where my session crashes and brings me back to lightdm whenever I press Ctrl-Alt-Backspace. This doesn’t happen on any other distro that features Cinnamon, just Linux Mint. I’m on an Early 2015 13″ MacBook Pro. I can’t disable it, that’s the problem. It’s not enabled by default either. Linux Mint Cinnamon is the only distro where this happens. The shortcut can easily be changed in the keyboard settings! Change it to SHIFT-CTRL-ALT-SUPER-! or any other hard-to-type-accidentially combo, or simply – I won’t recommend it – completed delete it. Nice distribution but having a problem with hibernate on a notebook as noted above. I went some testing to determine the cause an a way around it, and though it would be helpful to see what I have narrowed down and poorly resolved a workaround. I had installed 17, then 18.1 on a HP notebook I5 SSD, and all worked perfectly, hibernate, standby …, and I am using that install to do this post on a newer very notebook(just moved the SSD drive). Put a new SSD in the older I5 notebook and eagerly installed 18.2, went into hibernate and the login was stuck (no password entry field presented). When stopping and starting X it was still stuck so reboot required to fix. Problem occurred persistently on hibernate recovery, and periodically on suspend. Saw the 18.3, and eagerly installed that, immediately tried the suspend and hibernate, and problem persisted. Did not try turning off login at hibernate recovery, and should have as I suspect that. Trying to understand why 18.1 worked so well and newer did not on this hardware, was sure the hardware was fine. So went back to 18.1 and did a fresh install. All was good, recovered in Hibernate and Suspend consistently and felt the same as this notebook I’m using for this post. Then went into Update manager and upgraded to 18.3, resulting in 18.3 with a Suspend and Hibernate that works. So fresh install of 18.2 or 18.3 will have unusable hibernate, while upgrading from 18.1 is a workaround that works and validated that the hardware I was using, was, and still is OK. I don’t have further details as I was only trying to determine what worked and what did not. Cinnamon 18.3 fresh install. Works fine. Software-center (mintinstall) starts up really fast. I encountered an issue with mintinstall 7.8.9. If you are entering multiple entries, then all of a sudden the application stops responding. One has to restart the app, before one can continue installing software. It would be appreciated if the software-application would be kept up-to-date.I notice f.i. that the collection-managers GCStar and Tellico are outdated. Gimp and LibreOffice are also lagging behind. I also can’t get persona’s in LibreOffice working (was working in 18.2). Anyway, your work is much appreciated. OK, now read it again, more carefully. I love linux mint and have been a long time user. However, I noticed on 18.3 Cinnamon that the Network Manager inside the control panel has lost some functionality. I use virtual interfaces on different VLANs a lot and I can no longer add/remove VLAN virutal interfaces from inside the network manager which previously worked when clicking the “+” button at the bottom. Now the “+” button only gives you the option to add a VPN. Was this change intentional or can the functionality that was in 18.2 be brought back for the “+” button? I would shrink an NTFS partition natively with Disk Mananger of Windows OS. Of course, after Windows Disk Check of D completed OK, and after switching off hibernation in Windows Command Prompt (powercfg -h off), Linux GParted will probably shrink this ntfs partition. But why to use not native NTFS tools? Especially in such a delicate matter as multiboot. I have a problem with installing ms office (2010) via wine software. I always get an error during installation. I was wondering whether this is an issue of cinnamon (I have LM 18.3) or an issue of wine. Could anybody help me with some advice? I have another, much older computer, with LM 17.3. I installed ms office on that one without any issues. Thank you. First things first – yet another fantastic upgrade experience!! Thanks Clem and Co. for all their hard work. I know this is a very subjective question, but has anyone on a DESKTOP seen any issues with upgrading to any of the 4.10 kernels? Currently on 4.4..0-21 from my previous 18.1 install, but would like to keep at least somewhat current. Went ahead and updated to 4.10 0-42 without any apparent issues. Seems to have fixed a few niggling issues I was having, such as delays recognizing and activating USB keyboard and wireless mouse after startup. Network disks mounted using iscsi target do not have the appropriate permissions. External wireless numeric keypad can not be entered correctly. Donwload the correct archive of LibreOffice (now at 5.4.4) from https://www.libreoffice.org/download/download/. Go to your download folder, find your downloaded archive and right-click on it. Open your unpacked folder(s) until you have the open folder DEBS on your screen. Right-click into that window (don’t mark any of the contained files!) and choose “Open in terminal”. Type sudo dpkg -i *.deb into the terminal, hit Enter. Type your password for sudo (the admin password, remember that you won’t see any characters or asteriks when you type). Repeat the same procedure with the “translated user interface” archive for your language and with the “help for offline use” archive on https://www.libreoffice.org/download/download/. Your Libre Office version 5.4.4 should be ready to go! The new Software Manager no longer have the install queue. It’s not that I’m complaining but I’m just used on the older version of Software Manager where I just have to select an app, click install, then find another app, then click install and so on. Then after trying to install all the apps I wanted, switch to install queue and watch the list of downloading and installing of apps, with the queue of what’s next to download and install. since nvidia driver getting wrong with wayland in ubuntu 17.10 i will try to use linux mint (again). any problem with nvidia driver?